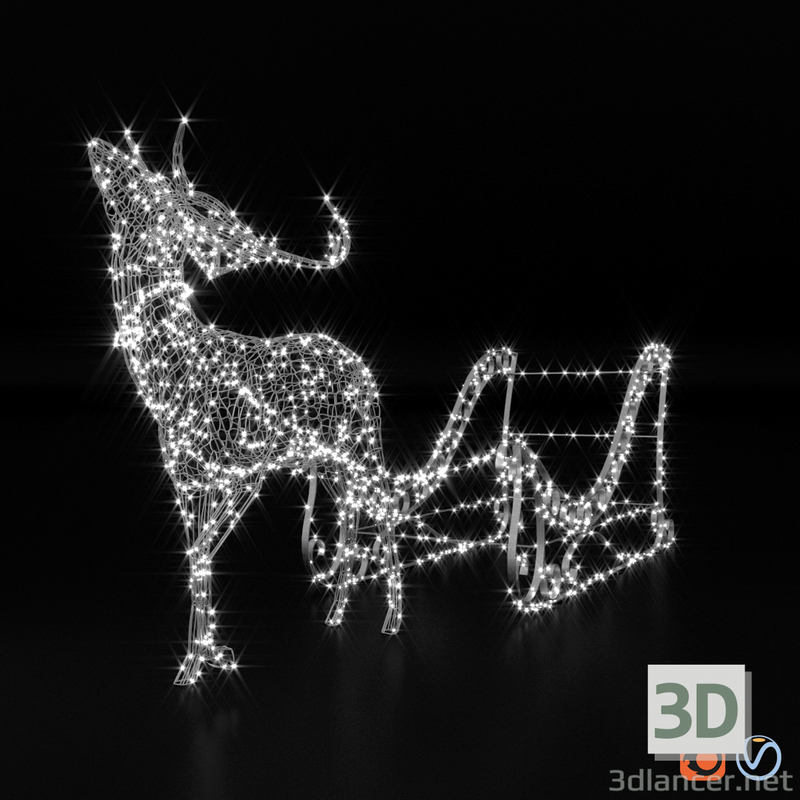 3D-Model Light volumetric figure "Deer and sleigh." Light volumetric figure "Deer and sleigh". Light figures - an original and spectacular decoration for the park, public areas, private areas. Volumetric light figures can be effectively used both in the design of garden and park areas, and as elements of integrated landscaping of the city. The use of LED figures helps to create a unique style of each object of improvement, harmoniously complementing the overall design concept and uplifting. In the archive: 3Ds Max 2014 Vray, 3Ds Max 2014 Corona, Fbx materials, textures.